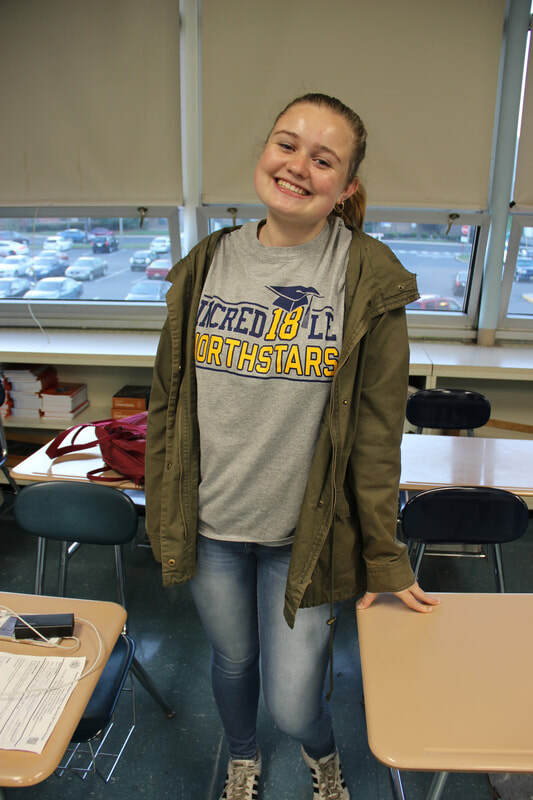 According to Molly Cuddy, senior at Nottingham High School,“Everyone should live life to the fullest. 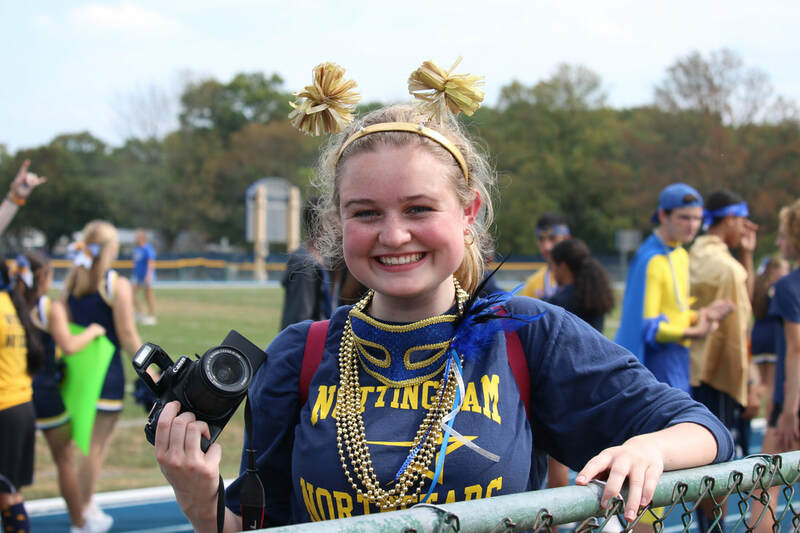 We only have so much time and we shouldn’t waste it.” Molly is very involved in student activities and is a member of multiple clubs, including the school newspaper, the theater, and the lacrosse team. In fact, in her sophomore year, the lacrosse team had their first win in Nottingham school history. She says this is her favorite high school memory. “It was the most amazing feeling!” She has also been involved in every play in her four years at Nottingham. She has performed in the ensemble cast, and in 2015, she was a munchkin in The Wiz. This year, she holds the position of student director of the play for Nottingham’s Saturday Night Fever. Molly expresses her appreciation of the community and the people at Nottingham. “We all get along,” she says. 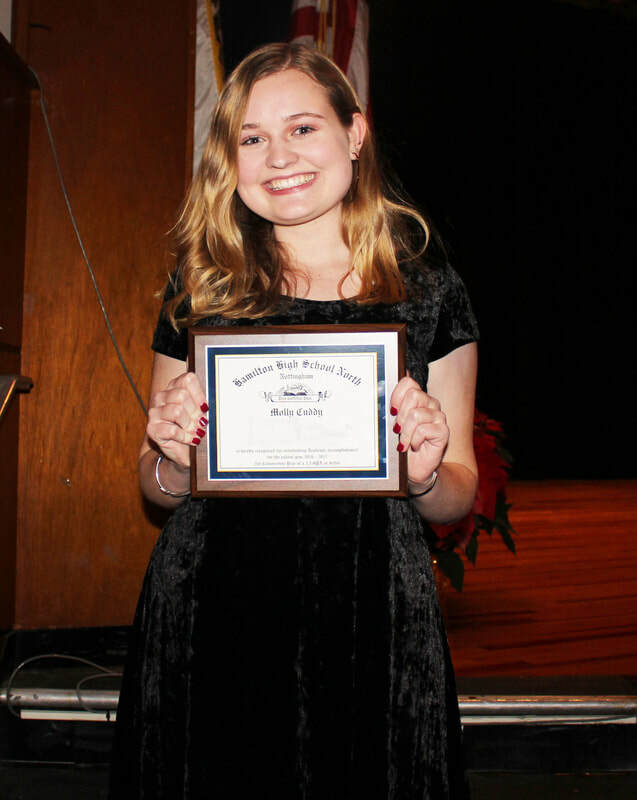 Nottingham Principal Mr. Frank Ragazzo praises Molly's school involvement: "Molly does a great job with the morning announcements and is an excellent role model for other students. She is a hard worker and is very involved with extracurricular activities. The Northstar family is also very proud of her recent publication by Affinity Magazine." Singing, reading, writing, and participating in Nottingham’s plays are Molly's favorite hobbies. An avid Twitter user, her favorite movie is the comedy, The Parent Trap. Her favorite food is chicken parmesan and her go-to-good-mood song is “Build Me Up Buttercup” by The Foundations. Cuddy’s favorite color is yellow, which very much represents her sunny personality. An article ("Please Be Mindful of Oil Diffusers Around Your Pets") that Molly wrote for Affinity Magazine was recently published on the main page of the website. She has been previously featured here: http://culture.affinitymagazine.us/author/mollycudz/. Molly plans to attend a four-year college after high school. She is not certain what path she plans to pursue after college, but she hopes to continue what she loves--writing. In ten years, Molly sees herself still pursuing journalism and writing and hopes to be published, or close to being published. Like most of us, she hopes the future will bring her happiness and health.